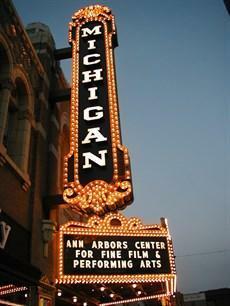 It is officially summertime, which means longer days, outdoor activities, and air-conditioned movie theaters. In this week's "Cinema Chat," WEMU's Patrick Campion talks to Michigan Theater spokesperson Amanda Bynum about the movie business and all of the films opening in theaters this weekend. “Daniel Day-Lewis will no longer be working as an actor. He is immensely grateful to all of his collaborators and audiences over the many years. This is a private decision and neither he nor his representatives will make any further comment on this subject." Day-Lewis is the only performer to have won three Best Actor Oscars: for "Lincoln," "My Left Foot", and "There Will Be Blood." He’s considered by many critics to be one of the greatest actors of his generation. Beatriz (Salma Hayek), an immigrant from a poor town in Mexico, has drawn on her innate kindness to build a career as a health practitioner in Los Angeles. Doug Strutt (John Lithgow) is a cutthroat, self-satisfied billionaire. When these two opposites meet at a dinner party, their worlds collide and neither will ever be the same. A.O. Scott of the New York Times writes “the seriousness of (the film’s) themes in no way detracts from the delight in watching Ms. Hayek and Mr. Lithgow perform their eccentric, intricate dance. Their commitment to the idiosyncrasy and unpredictability of their characters creates an unusual kind of suspense, a slightly uncomfortable kind of increased alertness.” “Beatriz After Dinner” opens today. A young Englishman (Sam Claflin) plots revenge against his mysterious, beautiful cousin (Rachel Weisz), believing that she murdered his guardian. But his feeling become complicated as he finds himself falling under the beguiling spell of her charms. Anne (Diane Lane) is at a crossroads in her life. Long married to a successful, driven but inattentive movie producer (Alec Baldwin), she unexpectedly finds herself taking a car trip from Cannes to Paris with a business associate of her husband. What should be a seven-hour drive turns into a carefree two-day adventure replete with diversions involving picturesque sights, fine food and wine, humor, wisdom and romance, reawakening Anne’s senses and giving her a new lust for life. Tensions mount for the beleaguered British Prime Minister Winston Churchill (Brian Cox) in the days leading up to infamous Allied D-Day landings in Normandy, France in June, 1944. Clashing with his Allied political opponents U.S. General Dwight D. Eisenhower (John Slattery) and British Field Marshal Bernard Law Montgomery (Julian Wadham), the troubled Churchill receives support and devotion from his wife, the brilliant and unflappable Clementine Churchill (Miranda Richardson). When the tiny nation of Freedonia goes bankrupt, its wealthy benefactor, Mrs. Teasdale (Margaret Dumont), insists that the wacky Rufus T. Firefly (Groucho Marx) become the country’s president. Sensing a weakness in leadership, the bordering nation of Sylvania sends in the spies Pinky (Harpo Marx) and Chicolini (Chico Marx) to set the stage for a revolution. As Firefly clashes with the Sylvanian ambassador (Louis Calhern), plenty of mayhem ensues, and the countries verge on all-out war. “Duck Soup” plays Sunday, June 25 at 1:30 PM and Tuesday, June 27 at 7 PM as part of the Summer Classic Film Series. Humans and Transformers are at war, and Optimus Prime is gone. The key to saving our future lies buried in the secrets of the past, in the hidden history of Transformers on Earth. Saving our world falls upon the shoulders of an unlikely alliance: Cade Yeager (Mark Wahlberg); Bumblebee; an English Lord (Sir Anthony Hopkins); and an Oxford Professor (Laura Haddock). “Transformers: The Last Knight” opened Wednesday. This year's Cinetopia Festival is in the books, but there's still plenty going on in the world of film. In this week's "Cinema Chat," WEMU's Patrick Campion talks to Michigan Theater executive director Russ Collins about the movie business and all of the films heading to the silver screen this weekend. 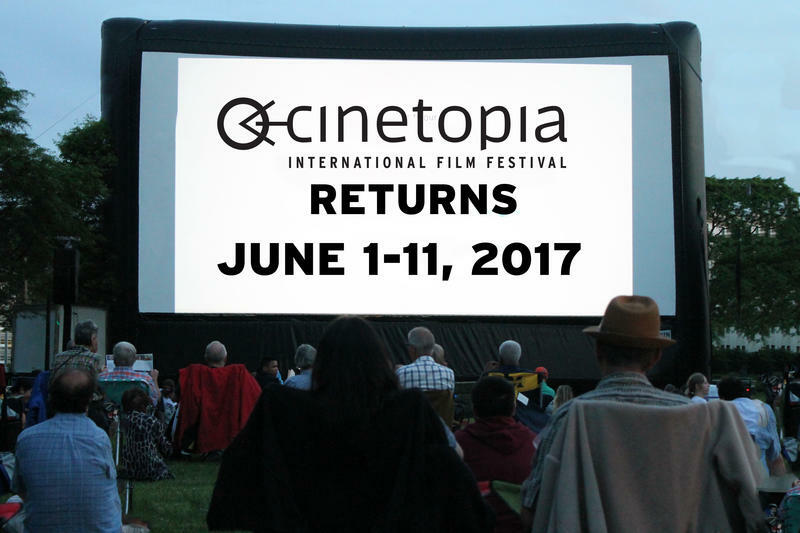 The 2017 Cinetopia Film Festival officially starts today! In this week's "Cinema Chat," WEMU's David Fair talks with Michigan Theater executive director Russ Collins about what to expect from Cinetopia this year. Plus, learn about the new movies coming to your local theater this weekend. 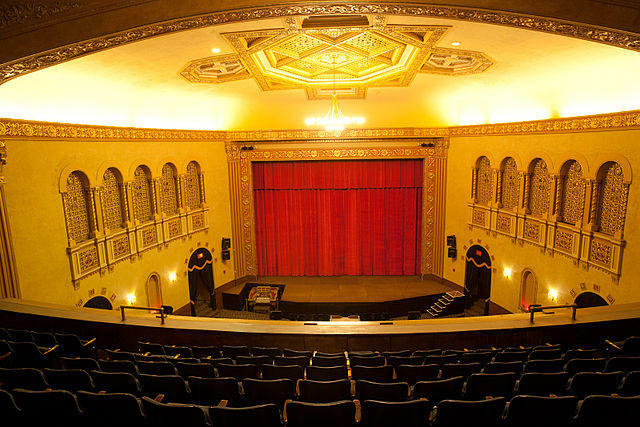 In this week's "Cinema Chat," WEMU's David Fair catches up with Michigan Theater executive director Russ Collins and covers all the movies you can check out this Memorial Day weekend. Plus, you'll get the latest on the Cinetopia Film Festival, which is only a week away!